The field of interior design can be divided and subdivided into separate categories, specializations, and approaches. The most important difference is between residential and commercial interior design. 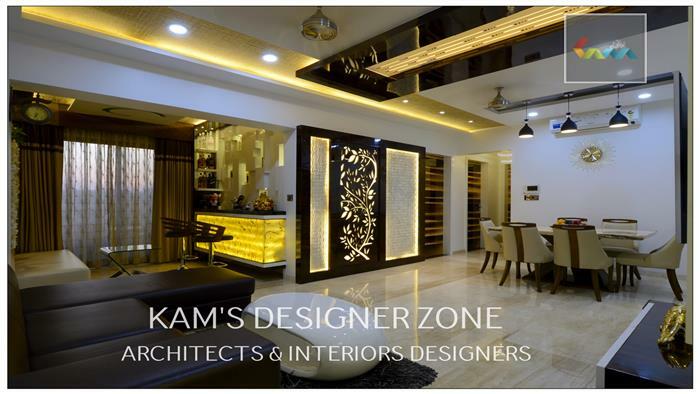 Most interior designers work in both design areas. We are an interior designer in Pune specialized in any of the designs. The design process included in the residential interiors and architectures is very different from the commercial interior design and architecture. In this type of interior design, designer plans and designs plans in residential homes. An interior designer who basically works in homes. It will specialize in a specific part of residential design. It is common for interior designers to specialize in custom homes, corporate offices, bathrooms, kitchens, and furniture. Most people want their homes to be an addition to themselves. Therefore, this type of interior design may seem much less limited than commercial design. Interior design projects may include planning a new construction, working on the historic renovation or renovating an existing space. A job of residential interior designers is not limited to selecting a paint color of furniture and spaces. Often, an interior designer will have a great hand in architectural pieces as well. This may contain working with the removal or addition of floor design and floor, false ceiling designs, window designs, trim work, window designs, window locations, technology needs, lighting. In this type of interior design, interior designer plans and designs spaces in business and commercial spaces. This arm of interior design is wide and vast. Wherever you go it has been presented and created according to a design plan - It can be a professional or not. A cheerful and stimulating pre-school, a sophisticated and royal bench, an elegant and elegant champagne hall and its favorite theme park. In these places, you can find the work of commercial interior designers. There are many pieces of expertise are associated with commercial design. Interior designers specialize in entertainment plays in clubs, theaters, movies, television and arena projects. Commercial interior designers also focused on government projects such as libraries, police stations, schools, museums, courts and other government buildings. Specialists in healthcare design nursing homes, hospitals, waiting rooms and examination rooms. Some commercial interior designers work in hotels, bars, cruises and restaurants. Some commercial interior designers specialize in corporate office work. They can build workspaces that are fully utilized. It also creates an attractive work environment. Therefore, the interior designers focused on the design of shops and stores. This type of commercial interior designers works in departmental stores, malls, etc., In Coimbatore, most designers focus these two interior design. Related Links : interior designer in Swargate, interior designer in Katraj, interior designer in Shivaji Nagar, interior designer in Deccan, interior designer in Hadapsar, interior designer in Koregaon park.